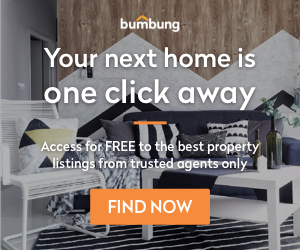 The FundMyHome campaign recently made it’s huge debut as a legitimate initiative, it’s easy to see why many not only took notice of the upcoming housing scheme but also celebrated it as the world’s first residential property crowdfunding resource to date. Before we take a more in depth look into this scheme, let’s take a look at what is FundMyHome. The crowdfunding initiative provides 80% of the property’s value, given if you can cover the remaining 20%. That 20% will then be put into a trust account which will be used as payment for the fund’s investment returns. The investment returns, which is 25%, that is then split into 5% for 5 years. After the 5 years have passed, the buyer then has 2 options. Option 1: Sell the property (aligned with the current property market price), while sharing the profits with the fund. Option 2: Continue to stay in the property either by renewing another 5 years (restarting the entire crowdfunding process) or taking up a mortgage loan to purchase the property. 1) If the First Time Home Buyer can afford the 20% payment of the property, why not just go down the conventional route by getting a mortgage loan? The biggest hurdle a First Time Home Buyer can face when it comes to the property acquisition process is not the monthly payments, but the initial lump sum at the beginning to get the deal signed. At least by getting a mortgage loan and buying the property, the First Time Home Buyer wouldn’t have to worry about the unpredictable consequences of the home’s value after 5 years. The property would belong solely to them until they choose to sell off the property at their own pace, hence would not have to worry about the possibility of having to refinance the property or please an investor. 2) Why does the First Time Home Buyer have to be responsible for the yearly 5% investment return when the investors are receiving a cut from the profit of the property sales after 5 years? The responsibility of pleasing the investors with a yearly return shouldn’t be from the hands of the buyer, who are also risking a considerably large amount of their hard earned money to own a roof over their heads. This responsibility should rest on the shoulders of those who’ve come up with and implemented the idea, who’ve convinced buyers and investors to risk hundreds and thousands of Ringgits in their scheme. After all, the buyers didn’t sign up to please investors, though the organizing party did. 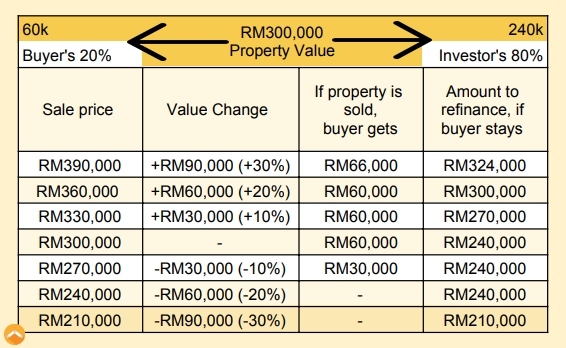 3) What if the property’s market price does not increase as hoped, but in fact; decreases. Would the buyer have to handle (all of) the costings? The crowdfunding initiative is scheduled to begin transactions in 2019, which is also the year in which the Real Property Gain Tax (RPGT) begins charging Malaysian homeowners 5% on their property sales profits if the property is sold after 5 years. Guess who’s going to have to foot that payment? Though all concerns aside, this scheme is definitely unique in it’s own right. Would you give it a try?